Stocking some of the most beautiful wedding dresses in Ireland, Lilac Rose offers a selection of exquisite bridal couture from critically-acclaimed designers. 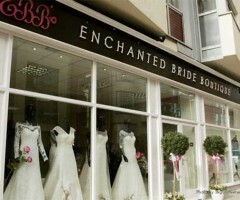 Enchanted Bride Boutique is a fabulous bridal store in Sligo with a wide range of gowns and would be delighted to help you with finding your perfect dress for your upcoming wedding day. Belladonna offer a collection of wedding dresses which is eclectic, offering a range of designers to suit every type of bride, ceremony and budget. Getting the right wedding suit is almost as important to grooms as the perfect wedding dress is to brides, which is why McElhinneys Bridal Rooms in County Donegal should be the first place you to for your attire. County Kerry's Finesse Bridal Wear store is the perfect place to find your dream wedding dress, whatever your shape or budget. Tomorrows is a wedding emporium located in Londonderry which stocks everything from wedding gowns to menswear to wedding accessories and everything in between. 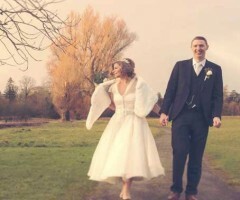 Are you searching for your perfect designer wedding dress in Northern Ireland? 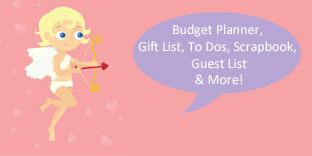 Then consider making an appointment at Impressions Bridal Shop, based in County Tyrone. La Boda Bridal is a contemporary bridal boutique who stock everything that a bride could require on her wedding day, including gowns, shoes and accessories. The White Room prides itself in offering brides to be a relaxed haven to choose their dream gown. If you're looking for some extra special bridal accessories to finish off your wedding outfit perfectly then look no further than Just 4 U, located in Dungannon, County Tyrone. Castle Couture offers an excellent range of all those little touches you'll require to finish off the most important outfit you'll ever wear. Stocking the latest Mori Lee and Venus gowns, your perfect dress is waiting for you at My Fair Lady. The Lace Boutique offers stunning wedding gowns that will make you feel like a queen on your special day. 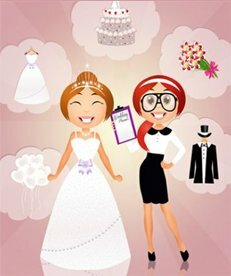 Joanne Ferguson Bridal Designer is one of Northern Irelands largest and most popular bridal shops, which is known for it's high quality service and friendly staff, so it could be the perfect place to start (and end!) your wedding dress shopping.